This is the final Magazine for the year 2000. Since the last magazine the Association held the AGM at the United Service Club on 1st September. Around 40 members attended. From many accounts it was a successful evening. The guest speakers Gina Privitera and Michael Bond entertained us all with there experiences in East Timor. With other members such as Peter Sharwood and Michael Ahern who have served there it goes to show the contribution QUR is making to the Australian Defence Force. We had a vast range of members at the dinner. From the early days Pat Shanahan, Viv Hawke, Bill Ridley and Sam Harrison attended. (1948 and 1949). Members from the 1990s were also present at the dinner. I would like to thank the United Service Club for its professional approach and for being able to keep the cost to the $50 including GST. I am particularly pleased with the makeup of the new committee. A full list of the committee is on the back page of the magazine. I welcome Mal Heather as Secretary and new committee members David Ross and Barry Schmidt. 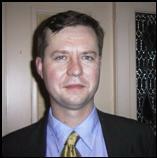 I would also like to welcome Michael Bond who has rejoined the committee after some years. There is not much more to be done before the end of the year. We will hold our Christmas drinks at the Victory Hotel on Friday 24 November from 5 pm on. I hope a number of members are able to attend this function. As with last year I am sure the committee will pass a resolution so that we can provide some of the drinks. I would like to welcome Toni Clews, David Learmonth, Brett Lapidge, Edwina Schmidt, Patrick Weinrauch, Frank Van Schagen and David Eastman as new members. I would also like to welcome Dr Tom Nutley and Ted Weeks who have renewed their membership. I also welcome Colonel the Honourable Peter Connolly, CSI, CBE, QC (a former Commanding Officer) as a member of the Association. I also regret on behalf of the Association to announce the death of Bill Hazard. Bill was a great supporter of the Regiment and the Association over many years. In terms of attracting new members we are still in the process of contacting graduates of the Regiment to let them know of our existence and asking them to join. It is a slow process however slowly but surely we are attracting new members from this group. It would be nice to reach the 200 mark before the end of the calendar year. We are close to exhausting our stock of ties. The committee will make a decision as to how many more we will order. Please drop me a note if you wish to purchase a tie. As indicated to the annual general meeting it is intended to keep the Association on the same course as we did throughout 2000. We are still in the process of gathering the E mail addresses of all members. Please drop us a line if you have not received an E mail from the Association this year. As this is the last issue of the magazine before Christmas I wish all a happy and holy festive season. As the year draws to a close the QUR activity period is about to increase in intensity. The present First Appointment Course commences the next important stage of its training which will culminate in the graduation parade at the Royal Military College (RMC), Duntroon in mid February 2001. During the period 2-17 December the important field phase (Module 1B) will be conducted at Tin Can Bay training area. This will be the final module of the training that is conducted by QUR for this class. This will end the two thirds of the University Regiment delivered modules before the final six weeks at RMC. The selections for the next generation of officer candidates are also under way. There has been a late surge in applications that will be processed in the next three weeks. This group will be the last trainees to experience the pleasures of Sanananda Barracks at Wacol. The last unit to occupy Wacol is the Regional Training Centre - South Queensland (formerly 1st Training Group). On the 2 December 2000 they will end the military inhabitation of Wacol which commenced in July 1942 when they relocate to Enoggera. QUR will turn out the lights six weeks later when the Officer Induction Module ends. It is anticipated that about twenty QUR officer cadets will graduate in February 2001. Some of the end of year key staff changes are the moves of MAJ Gary Symons (2IC), MAJ David Sankey (OPSO), MAJ Trevor Herrod (OC Admin Coy) and MAJ Rob Merker (OC COC). I thank all officers and all ranks who have contributed to the success of the Regiment this year. I also congratulate MAJ Symons on his forthcoming command appointment as the Commanding Officer of 41 RNSWR. Most of these changes will occur in January. A former 2IC of the Regiment returns as the OPSO after securing a two-year period of full time service. His previous experience within QUR and at RMC will provide a sound basis for his appointment that started on 20 November 2000. My replacement on 1 March 2001 will be LTCOL Peter Jeffery. Peter is a former QUR graduate who understands the traditions of the Regiment, the recent changes and the way ahead. The association’s popular Back to the Regiment Night will be conducted in the Standfast Club at the Unit’s Walcott Street, St Lucia depot on the evening of Friday 16 March. Please note your diary now. Further details and a reply form will be included with the February newsletter. This is a night not to be missed. As noted in the President’s Report, the Association mourns the recent death of Lieutenant Colonel Bill Hazard who succumbed to a brain tumour in September. A former President of the Association, Bill originally enlisted in the CMF at Gatton College when the detachment there was part of the 25th Battalion. He transferred to QUR when he came to St Lucia to complete a degree in agricultural science. When this writer was a soldier in QUR in the mid 60s, Bill Hazard was serving in the Regiment as a Captain. On promotion to Major he subsequently commanded the Gatton sub unit that had come to be called the QAC (Queensland Agricultural College) Training Unit. Bill spent his civilian working life as a state public servant with the Department of Primary Industries and while managing that organization’s research station in Biloela he served as 2IC and then as Commanding Officer of the 42nd Battalion, The Royal Queensland Regiment. This involved regular Tuesday drives to the battalion headquarters in Rockhampton. Our paths crossed here as I was then serving in C Company of that battalion in Gladstone. 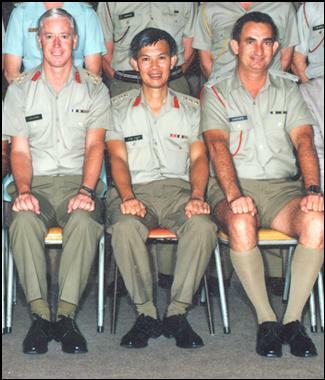 Following his unit command, Bill returned to Brisbane with his civilian employment and served as a tactics instructor in the Reserve Command and Staff College component of 1st Training Group at Wacol. 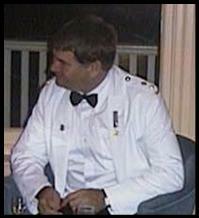 His military connection with Gatton College continued when he was later appointed as the first and only Honorary Colonel of RURQ (The Regional Universities Regiment of Queensland) into which QAC Training Unit had now metamorphosed. In all his Army appointments and in his leadership of this Association, Bill Hazard always impressed as a conscientious and dedicated soldier who brought qualities of thorough planning and careful attention to detail, coupled with real concern for those he led, to bear on all tasks that he undertook. By all accounts, he displayed a true soldier’s courage and tenacity in his final battle with cancer and his strong Christian faith enabled him to see the end as a victory rather than a defeat. His former comrades in the Association will miss this fine soldier and fine bloke. Major General Steve Golding, shown in the photo above has recently succeeded a fellow member of the QUR Association, Colonel Pat Shanahan, as the Regimental Colonel of the Royal Queensland Regiment. Now on the Inactive List, General Golding spent most of his post QUR service in the Royal Australian Engineers but he did serve briefly in 42 RQR as a platoon commander after, much to the RSM’s disgust, arriving in the battalion as what he (the RSM) disparagingly termed a “boy Warrant Officer”. In 1966 the General was CSM of QUR’s Training Company as a Temporary WO2 and incurred the RSM’s wrath by arriving in Rockhampton before the formalities of commissioning paperwork had been completed. A civil engineer, General Golding has recently been promoted to the position of Director General of the Queensland Main Roads Department. The editor of this journal was remiss in not noting in the July edition that one of our members, Chief Justice Paul de Jersey, was awarded an AC (Companion of the Order of Australia) for his services to the law in the Queen’s Birthday Honours List. My excuse is that I usually look further down the list for the names of people who are known to me. The Chief Justice served in QUR from 1966 to 1971 and was commissioned in 1969. Our hearty if somewhat belated congratulations go to him for this well-deserved acknowledgement of distinguished service to the community. Annual dues are $10 and a 10 year paid-up membership can be had for $70. Cheques should be forwarded to the treasurer at 24 Walcott Street, St Lucia. We are keen to update our list of members’ email addresses to facilitate communication between issues of the newsletter. If you have access to email and have not received messages from the Association (eg recently a reminder about Christmas drinks), please email Membership Secretary Peter Morton at peter_morton@health.qld.gov.au (work) or pamorton@ozemail.com.au (home). If we already have an email address it will be printed at the top of the address label together with the membership status (in brackets). If the E-mail address starts with an * this means that the address is NOT correct. If this is the case please send Peter a message to rectify the matter.